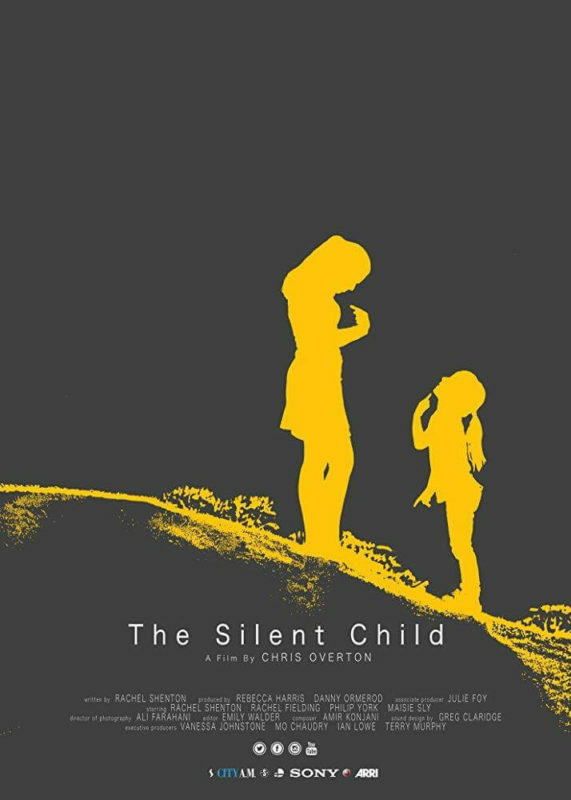 One thing for sure about ‘The Silent Child’; it managed to deliver a strong message at the end of the film, with several sobering facts. “…over 78% of deaf children attend mainstream school with no specialist support in place”. The main essence of the film is to highlight the importance of sign language to allow d/Deaf children to have the same experiences and opportunities in life that other children have. And in just 20 short minutes, I think they do this very well, whilst also bagging themselves an Oscar for ‘Best Live Action Short’ in 2017. Below is the review of ‘The Silent Child’ which contains some spoilers. But if you scroll further down, you can read about my own personal story and how it resonates with the film. 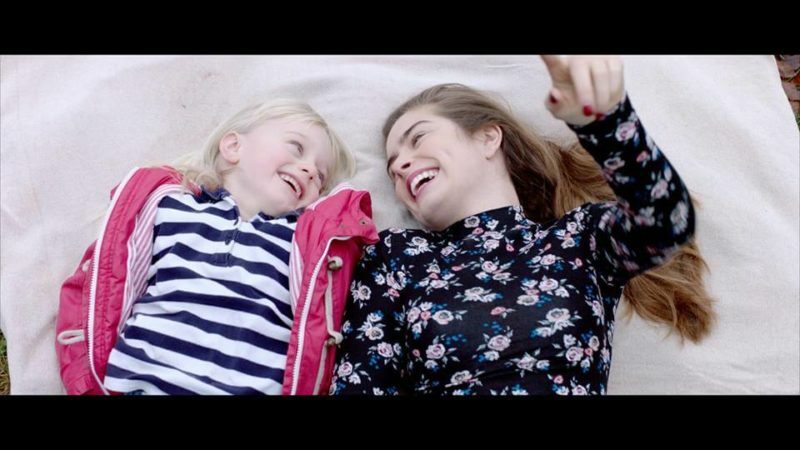 Libby (Maisie Sly) is a young 4-year old deaf girl who lives with her middle-class parents and two older siblings, who are all hearing, in their fancy country home in England. 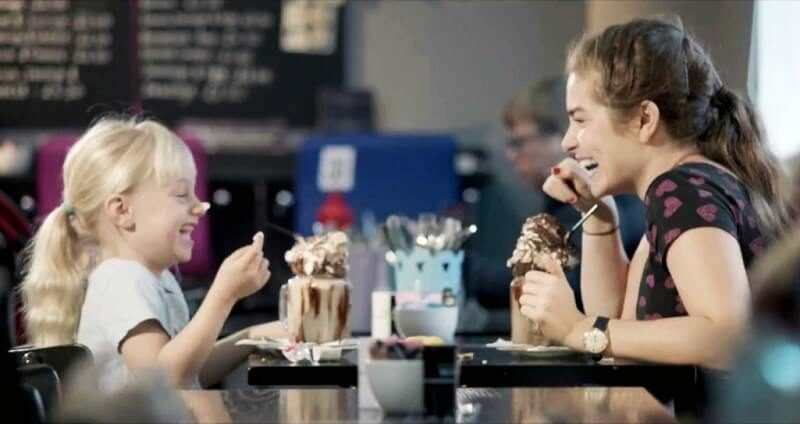 Throughout the film, you can see an obvious struggle, which happens to many deaf children around the world: Libby is in her own silent world and is not able to communicate with any of her family members. They are pretty relaxed and casual about it, as they expect her to be able to lipread everything (because apparently, she does it so well). So as far as they are concerned, everything is fine and it’s one happy family. Libby feels withdrawn and barely responds to her mother Sue (Rachel Fielding) , who is keen to get her talking too. So she brings in a caring specialist teacher/social worker, Joanne (Rachel Shenton), to help out. “We don’t have high expectations” said Libby’s father when he first meets the Joanne when leaving the house, much to her disapproval and frowned look. 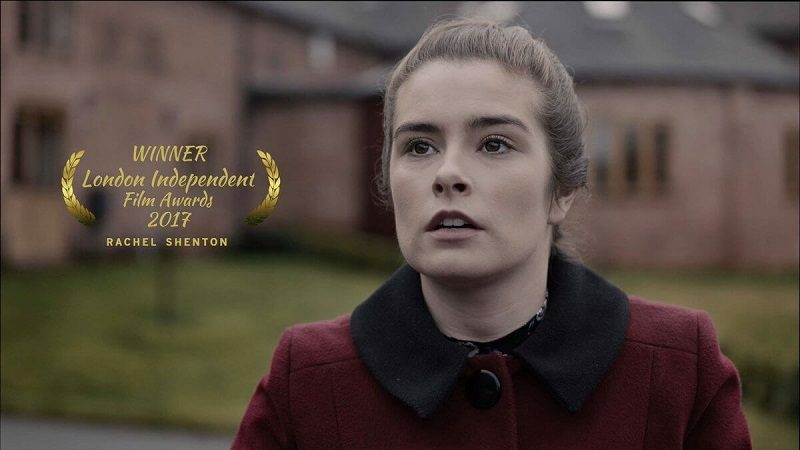 But Joanne (Rachel Shenton, who is also the screenwriter for this film and her husband, Chris Overton who is the director) slowly builds up a relationship with Libby and gifts her with a way of communicating by signing. And despite being a hearing person who can sign, Joanne has develops a close bond with Libby and continues to encourage teaching Libby with sign language. But Libby’s mother, Sue, has other plans. Sue was originally hoping to get Libby talking “because she can lipread well”.So the fact that she was signing instead of speaking did not go down well. Joanne had a fight on her hands to encourage the use of sign language to ensure that Libby has the same opportunities in life like everyone else. And only by signing can she then feel included. But Sue could not and would not see it, and instead insisted she attend a mainstream school with no specialist support. When I first watched the trailer, I had a feeling that it would resonate with me in some shape or form even though I never signed as a child (I never felt that I needed to learn). I did not have the same isolation at home and at the dinner table with my family, as the quiet environment suited me and enabled me to communicate with them. It’s a completely different story in crowded environments like conferences and parties. I sometimes do zone off into my own world, coupled with getting my phone out and scrolling through Twitter feeds. Since I am the only deaf person in my family, it is impossible for them to fully understand or feel what I am going through. Even after many years, I still have to educate them today. But at least they get it on some level and have supported me every day and to this day. Libby didn’t have that option since she does not speak so I couldn’t help myself defending her thoughout the film. The naivety of the family got me frustrated because it is something that some deaf children experience in the UK. A lot of people assume that lipreading is the solution to everything and we can get by just fine with just that. Not only it is naive to assume that, but it’s incredibly ironic for the mother to shout out “Bye Libby!” as she walks out of their lavish country house and not even facing her. So Libby wouldn’t have had any idea whether she left the house or not, (unless she felt the vibration of the door banging somehow). And then when I heard “We don’t have high expectations”, I felt myself getting defensive and frustrated for Libby. I think I even gasped when he said that. Again, it’s the level of naivety and ignorance from the family that bothered me. It is assumed that they know better than everybody on what to do with Libby. It is a classic case of ableism that exists everyday. But like many of us, and myself included, school is a huge challenge. But it’s a different kind of challenge for deaf children. But the main thing is that every child is different. They each have their own needs and will react differently to it. I cannot directly relate to how Libby must have felt when feeling isolated from the rest of the kids in the school playground (those sad eyes…😭). At school, my English was quite limited as my family and I moved to the UK when I was around 8. So at times, I too had to create my own world in the playground or attempt to navigate my way through the social norms by “faking it till you make it”. To an extent, it worked. But it only took me so far. And for Libby and many other children around the world, you can’t pretend to be hearing if you are profoundly deaf. What I also had was various kinds of support (and bear in mind that I didn’t know much English at the time so again…everyone is different). Now I’m not saying that I enjoyed it and I’m certainly not going to admit that I needed it (because teenagers!). But I can definitely say that they have helped me in their own ways. It’s different for Libby though, as she had none of that specialist support that I had hence why I was fighting for her rights. This brings it all back to the beginning of this post about how the majority deaf children have no specialist support, mainly because of funding cut backs. And if this continues at this rate, the future is not looking good for deaf children who are falling behind due to cut backs according to the National Deaf Children’s Society, which they claim that the government “is failing to deliver and that is utterly unacceptable”. 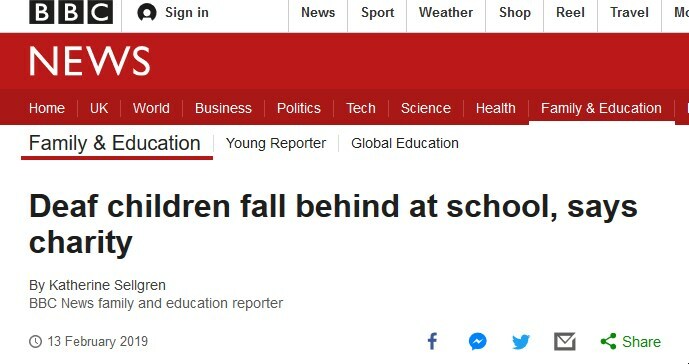 But it is also because parents assume that “they will be fine” at mainstream school. It quite obvious that this is not true. There are suggestions that a feature version of this short film is currently underway, so I’m curious to see how that pans out. In the meantime, this is a great film for you to get an understanding of the struggles that tens of thousands of deaf children who are born into a hearing family go through. From trying to be part of the family, to be told that she needs to speak, to then be denied the opportunity to explore what sign language can offer: it’s impossible to not understand the realities of what Libby is facing. But the fact is, it’s the reality that children are facing every day…and you probably don’t know it. If you have seen this film, I would love to know what you thought about it in the comments below. And well done to the team for winning an Oscar. Don't feel left out or miss out on exclusive content from me. Make sure you join the Hear Me Out [CC] community as a "Hearo" by signing up below. Visit the contact page or send an email to hello(at)hearmeoutcc.com to get in touch.